Please leave a comment regarding you recent stay with us at the Jockey Club! 57 Responses to We want to hear from you! Our daughter booked us here for her wedding. We were a little nervous when we first saw the outside, but WOW were we pleased with the room!! The people were so nice, and the view from our room was outstanding – the Bellagio fountains. The place was immaculate, and the maid service was great. I called with a minor problem with the bathroom sink, and the repairman was at our door almost before I hung up!! will stay here again next time we come to Vegas. WE stayed in the Jockey club in November 2013. I loved the room we had a preey good view. We stayed in the back building on the sixth floor 2 rooms from the laundry. I would have preferred a room higher up and in front building but none the less i loved it and cant wait to visit again. The staff was as helpful as they could be considering the amount of information they had to give out. (ex. directions to suites, via 2 elevators, down several halls and up stairway. Location was great. We, along with several family members stayed at the Jockey Club October 16,2011 thru October 23,2011. We had 2 2 bedroom suites.. Along with the fantastic weather, Rooms were incredible. Staff was outstanding. View of the Fountains at the Belliago awesome! From the valet guys, bell hop, front desk staff, housekeeping (Marina you ROCK! )to the staff in the hospitality room (Keep that popcorn popping! )We spend several times a year in Las Vegas and have stayed at various time share resorts, the Jockey club was by far one of the best. You can BBQ by the pool, enjoy the gym and suana..
Only negatives: No sun in the pool area…only ice machine is in the pool area.. Recommend this to all…We will be returning again! We stayed at the Jockey Club for the first time the first week of November, 2011, to attend a trade show. We has a newly remodeled room. It was beautiful. The accommodations were great. The only complaint we had, and then it was minor, was the front desk staff and was not as pleasant as they could have been. Otherwise, our trip was great and we would definitely stay there again. Hi … my wife and I received a call from 702.589.3475 offering a 3-day/2-night vacation package for FREE (free vacation rental with discounts on food, etc). Is this legit??? The person said that we entered a raffle drawing at a Pet Expo, but we never went to a Pet Expo where we entered any drawing. I found the 702.589.3475 number on some ReversePhone websites where people are saying this is a scam. Can anyone shine some light on this??? Thanks! Dave. We do have a marketing company located on-site that is separate and apart from the Jockey Club. We have forwarded your comment onto the management team of the marketing company for a return email at the address you have provided. Had a 4 day stay mid November. 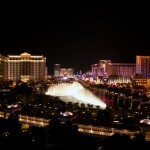 I stayed in a renovated room overlooking the Bellagio with a view of Paris and down the strip. The room was recently upgraded with flat screens and was in pristine shape! The facility staff were very gracious and accommodating and I avoided the marketing attempts by not responding the the freebie offers/contests. I have not stayed here since the City Center went up but I would happily stay here again! Having a kitchen at your disposal is a great cost savings and convenience. You can access the Cosmopolitan hotel main floor through the Parking Elevators so the Casino was literally steps away! We are booked there this week and wondering if the sofa bed is comfortable or do we need mattress pads? The sofa beds do not get many complaints. However, we do offer egg crates foam tops at no cost, to lay on top of the mattresses. Just request one at the front desk when you check in. Happy Birthday to you! The last of the suites are now being renovated, so you will get a newly renovated suite! Let us know what you think after your visit! My friends and I are coming to town in May. It happens to be her 60th birthday on our first night there. WooHoo!!! We love Vegas, but have never stayed here. Can you tell me what view we have in 872B? That is the room we are suppose to have. Is there anyway to arrange champagne for our first night? The Resort Manager would like to know where to contact you. Please forward that information to us, or call us at (702) 798-3500, and we could be happy to assist you with your requests. Is there really no sun for the pool area? After the construction of the new Cosmopolitan, our pool area did lose sunlight due to the height of the building, however, the pool remains open for guest to use. With that said, the Cosmopolitan does allow Jockey Club guest to use one of their pool areas. For details on this, please don’t hesitate to contact us at (702) 798-3500. Me and my girls are coming down in August. This will be their first time in Vegas and my first time at the Jockey Club. I have a quick question for the Resort manager; can she please provide a phone number to chat live? We are looking forward to your visit. 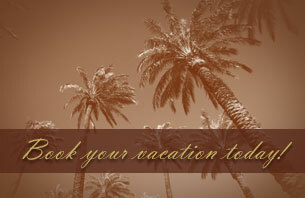 Please feel free to call us directly at (702)798-3500, and ask for Lori Elie, she is the Resort Manager. Please let us know if you have any questions. My family and I are planning our vacation in August and will be staying for 7 days. We have 2 birthdays to be celebrating and look forward to having a great time at this resort. We havw never stayed here before but visits Vegas once a year. We have 3 children. Hope this resort is accomodating for them. Hope to see you this summer. We would like to have 2 queen beds in our room and hope that the resort can accomodate us. The bedroom accommodations are dependent on what suite type you confirmed. Please call us at 702-798-3500 so that we can look up your reservation for you. Is it possible to request a specific view? Yes, you can always place a request. Give us a call so we can pull up your reservation, and place a request. We do our best to accommodate all requests that are made, however, there is no guarantee. Does the living room usually have a view? Half of the rooms do have a view from the living room. All the views vary, depending on what side of the property you are facing. If you have a special request, give the front desk a call, and we will be happy to place a request on your reservation. Then at check-in, we will do our best to accommodate you. Planning a family trip to Las Vegas on August. Just recieved a Groupon deal for Jockey Club reservation. Its our first trip to Vegas and traveling from Puerto Rico Island. I would like to know if there is complimentary parking. If not, how much will it cost. Will be traveling in a good deal on the condition of taking a presentation of the facilities. Would we be treated as well as other guest even though we are traveling on this deal? All of Jockey Club’s guests receive the same, great customer service. It is our goal to make your visit with us relaxing, and memorable, receiving the best customer service we have to offer. Jockey Club has free, self-parking available in the parking structure of the Cosmopolitan. We also provide optional valet parking, at just $5 per day, with unlimited in and out privileges. We look forward to your visit, and please don’t hesitate to contact us with any further questions. The room was very nice and clean with a great view. The only complaint we have is the outside signs to the Jockey Club are not very clear (BIG) as to where to go to check in and park we got very lost, it was frustrating our first night! We are enjoying our stay here though! We are sorry to hear about your frustration. With the remodel, and the new construction of the Cosmopolitan, we understand locating the Jockey Club has been a little more difficult. We are working to get this resolved, and have new building signage installed in the coming months. We hope that you continue to enjoy your stay. Don’t hesitate to contact us with any questions or comments. ie, which store usually and how often it runs. We are staying with you 4-11 March 2013 for the NASCAR race. We would love a view of the strip (fountains). Also, any shuttles to the race? We suggest that you call ahead to request a room with a view of the fountains. Although we cannot guarantee a room with a view, we will do everthing in our powers to accomodate you. Unfortunately, we do not have shuttles to the race but you will find our transportation in town very handy. We do have a daily shuttle that takes you to the nearby supermarket for your convenience. You can reach Jockey Club at (800) 634-6649. Thank you and we look forward to your stay. We are trying to book a room for June 4-7. Do you still allow Von’s to deliver groceries to the hotel? Hi Drew. Yes, the Jockey Club still accepts deliveries from Vons. Also, for your convenience, the Jockey Club offers a daily shuttle once a day to a local market. Please call 800.634.6649 for additional details. Thanks. We have just booked a 2-bedroom exchange week at your Jockey Club arriving on my birthday in November. Our family of 3 love to travel but have never been to Vegas. It was a toss up where to stay but when our 13 y/o saw the interior pics of your renovated space he said “that’s the one”, so here we come! Did I read that trips to the Grand Canyon can be arranged or you have a car rental on site? Looking forward to a great birthday, week of memories from Vegas, and enjoying Nevada. Hi Ms. Stevens. We are delighted and excited that you have chosen to stay with us at the Jockey Club. We are sure you will have a fabulous and memorable time. Finally, we hope you have a wonderful birthday celebration. Thank you. I stayed here for 7days in a room with NO view..just a big blank concrete wall of the hotel next door. I requested another room but was told there were none available, although I saw many others checking in after me and getting the other side of the hotel (one side of the hotel faces the boring wall of the Cosmopolitan Hotel next door). No sunlight in my room. But the room itself was nice and hotel location great. Hotel signs, lobby and entrance could use a bit of new decoration, and nobody uses the pool here because there is no sunlight..pool next door is good. Thank you for taking the time to write your review. We are pleased that you enjoyed the room and our location. As a timeshare resort many of the Jockey Club owners utilize their fixed week and are able to check in each day making it difficult to fulfill a view room request for all. The Resort Desk team does their best to fulfill all requests as they are possible. We agree that the signage, particularly on the strip are small and need to improve and we are working with the Cosmopolitan to improve the signage. The lobby is scheduled for improvements in 2014. We hope that you will consider staying at the Jockey Club during your future visits to fabulous Las Vegas. We just completed a stay at The Jockey Club and the room (with a view)was wonderful and the staff couldn’t have been nicer to us. First of all the room was clean, well equipped, maid service was excellent. Secondly, the location cannot be beaten. Nestled between the Bellagio and connected to the Cosmopolitan made it very convenient and central to many hotels, dining an show options. Unfortunately, we were not able to make use of all the amenities as a few days into our reservation I was taken to the hospital with pneumonia. So all I got to see of Las Vegas was a hospital room for 5 days. That’s when The Jockey Club really endeared themselves to us. A member of the staff, Carol Helner volunteered to take my wife back and forth to the hospital every day. Carol, we could never thank you enough – you were wonderful. When our reservation ended, I was very concerned as to what my wife was going to do. Where to stay, the hassle and expense of moving somewhere were problems to be solved. Lori Elie, a manager offered a studio room to her for up to seven days. What a godsend. Lori, you and The Jockey Club really stepped up to the plate and hit a homerun! Thanks so much. Needless to say I would return to The Jockey Club without reservation. I couldn’t imagine people being any nicer to someone that they truly owed nothing and just did it out of the goodness of their hearts. Thanks so much. You made a difficult situation just about vanish before our eyes. We are forever in your debt. Thank you for taking the time to write this review. The Jockey Club staff hope that you are feeling much better. Your kind words are greatly appreciated and it was our pleasure to provide a bit of comfort during this stressful time. We look forward to your next visit where you will be well and able to enjoy fabulous Las Vegas. Unfortunately, we do not offer a shuttle service to and from the airport. However, we recommend ODS Airport Shuttle. They are very affordable, $7 for a one-way trip and $12 for round-trip. Their contact information is 800.990.0417. Website is odslimo.com We do understand you would like a suite with a view of the Bellagio fountains. Although we cannot guarantee it, we recommend you call the Jockey Club at 800.634.6649 to request a suite with a view. Thank you for your inquiry. We hope you have a great visit at the Jockey Club. Hi, I am planning to have my bf’s bday party here and I had some questions. We are planning to book the two bedroom suite (2 of those). I was wondering what was the cancellation policy as when I called the jockey club, the person was not able to answer my question. We are booking two months ahead of time and just incase we are not able to make it, I wanted to be certain of the cancellation policy. I also wanted to know if we can request the 2 rooms next to each other as we have family and we wanted everyone together as a group? Any information will be helpful. Thanks! We had family come in from out of town who had never been to Vegas. Me and my husband are always up for a trip to Vegas. We wanted to stay somewhere that had a two bedroom suite, but not super expensive. I found the jockey club and it was on the strip and I thought why not give it a try. This place is the best undiscovered treasure. Sure it doesn’t have a casino, but I think that keeps down on the noise and there are plenty within walking distance. I will definitely be coming back and recommending it to others. The only con was the bedrooms are right next to each other, but that is not a deal breaker. Thank you for taking the time to provide us your comments. We are happy to hear that you had a great time. We look forward to your next visit soon. We needed a two-bedroom suite for our 20th wedding anniversary. the Jockey Club not only had the best price we could find, but it was in a great location-we could walk to many of the places we wanted to go, convenient to the tram service, very quiet and clean. We had a problem with the toilet leaking and the front desk staff had someone up to look at it immediately. The maids were great, everyone was helpful and friendly. We would definitely go back again. Love thre free popcorn and the convenience store on the first floor. We appreciate you taking the time to provide us with your comments. We are happy to hear that you enjoyed your stay with Jockey Club. Thank you for the feedback regarding are staff. It’s great to know that you found our staff to be helpful and friendly as it is our goal to provide our guests with outstanding customer service. We look forward to you staying with us in the near future. My daughter & I are coming to stay from Oct. 27th to Oct. 31st to celebrate her 16th Birthday! she chose this trip in lieu of a Sweet 16! I would like to do everything possible to make sure it is special for her including a high room with a view of a Bellagio fountains. we gave a deluxe 1 bedroom booked and hope that her best friend and mom an meet us there!!! Anything you could do to make thus trip special and memorable for Brie would be greatly appreciated!!! We are excited that you will be celebrating a milestone birthday with us. We suggest you call us at (800) 634-6649 to make a special request for a room with a view. Please note that although we cannot guarantee it, we will make every attempt to honor your request. Thank you. hi, me and my friends want to go on new years eve but, we tray to book our reservation online and we couldn’t, we are from mexico, can we do it from a credit card from here? we need a onde suite for 5 people with 2 rooms, thank you. We are delighted that you would like to spend New Year’s Eve with us. You can make your reservation online by visiting jockeyclubvegas.com or call us directly at 800.634.6649. We look forward to your visit. Thank you. Hi Mr. Miller. We are delighted that you will be celebrating your wife’s birthday at the Jockey Club. Although we cannot guarantee a room with a view, we will try to accommodate your request. Please call the front desk directly at (800) 634-6649 to request one. Please contact our concierge at the same number to assist you with suggestions for shows and restaurants. We hope you have a wonderful stay with us. Thank you.